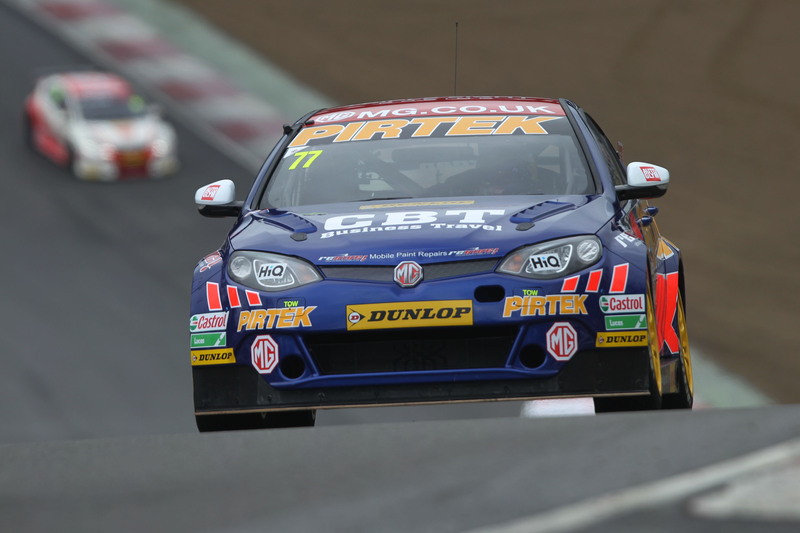 The BTCC returns to Brands Hatch for the final race day of the season, rounds 28, 29 and 30. Jordan wraps up his 2015 BTCC campaign at the Brands Hatch GP circuit whilst in the hunt for a top five finish. 2015 has seen a frustrated Revive! sponsored Andrew Jordan. The lack of speed in the MG6 GT run by Triple Eight Racing has made it difficult for the team to mount a serious title challenge, which is where Jordan really should be (securing podiums). But now comes the exciting season finale at the technically challenging GP circuit. The championship is still mathematically possible for Jordan however to clawback the 64 point deficit to Gordon Shedden seems extremely unlikely. However there is a slight chance of catching rivals Matt Neal and Colin Turkington which would allow a 3rd place championship finish. One things for sure, Jordan will be pushing his car to the absolute limit at his favourite track. The Brands GP track is renowned for its fast blind corners which will test the metal and skill of the drivers out on track. Andrew has these qualities in abundance and usually does well here so hopefully we can look forward to seeing Jordan in amongst the front runners. “I really like Brands and I’m always strong around the Grand Prix loop,” he said. “It is one of my favourite circuits. I’d rather be going there with all the pressure on Gordon Shedden and Jason Plato,” he added. Jordan looks to check out of the season with a race win which has eluded him this year. Revive! are the UK’s experts in minor car body repairs. Whether it’s a bumper scuff or a kerbed alloy wheel, don’t worry, we’ll fix it! If you would like to get a quick quote on your vehicles damage today, then just click here! Race day is Sunday the 10th October and the first race will begin at 11:30, with race two following at 14:20 and the final race at 17:05. You can catch all of the day’s racing action live on ITV4. It shouldn’t be missed.